This beautiful beach rental offers easy beach access, private pool and enough space for a family on vacation. This vacation home is hard to beat with a unique floor plan that can accommodate a large group or 2 families. 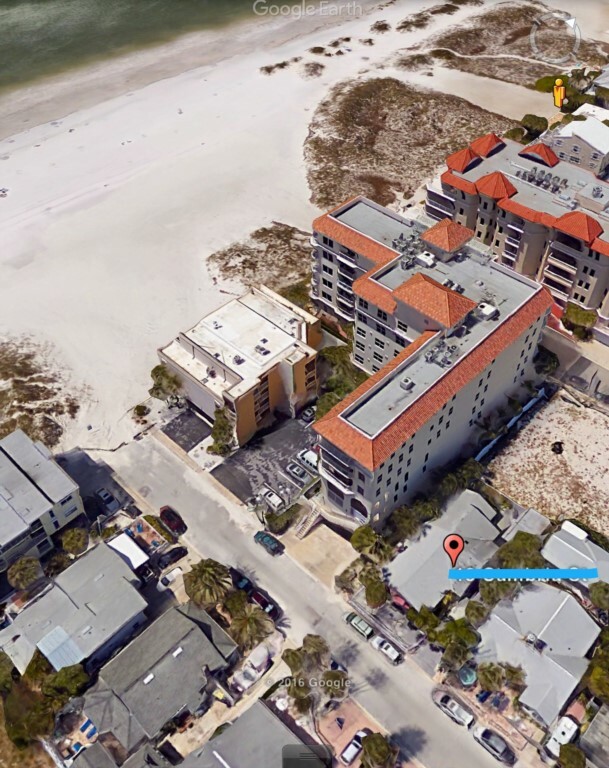 Our rental home has an ideal location in north Clearwater Beach, just steps from the sand. This house is fully prepared for beach living, boasting peace of mind and great beach proximity, just two houses away. 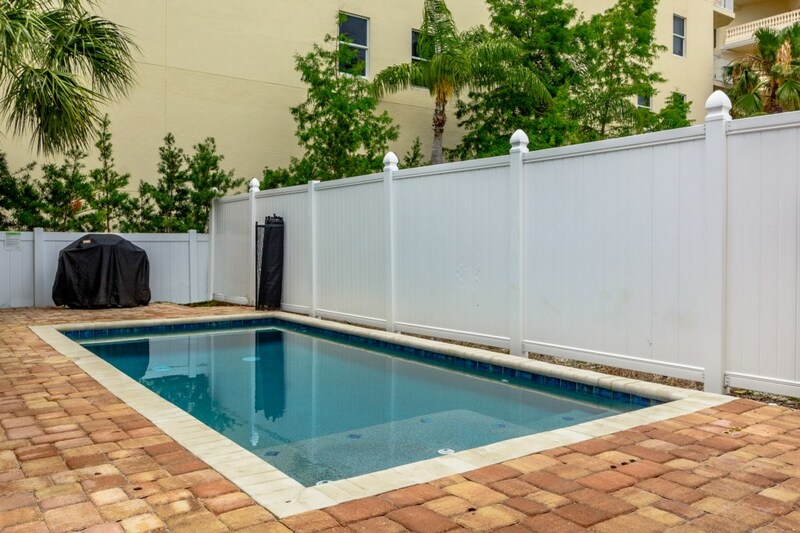 As an alternative to your usual hotel stay, this beautiful vacation home is furnished with all of the amenities of home while maintaining many of the same benefits you find in a hotel, with wifi service, towels and linens, and easy on-site check-in just to name a few! 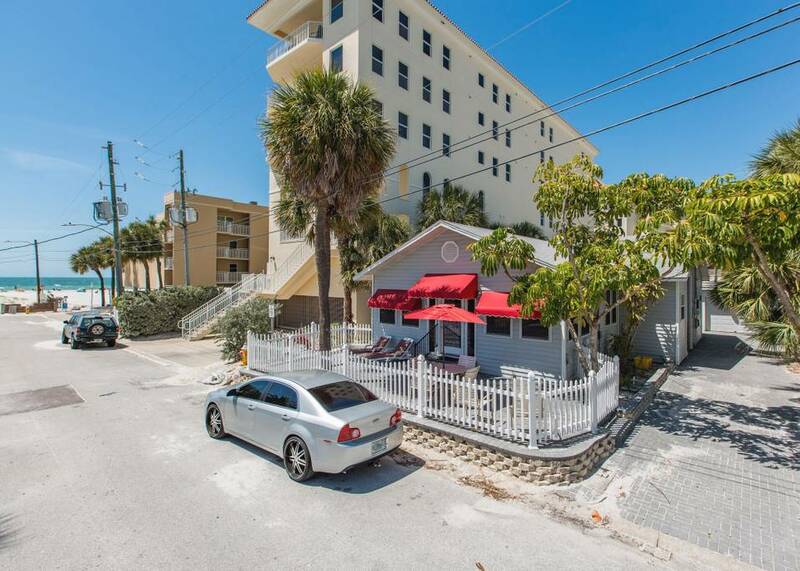 This great beach house features a main area with 3 bedrooms and 2 bathrooms and a large loft in the back of the property featuring a murphy bed and a full bathroom. Our Starfish Beach Home accommodates 10 guests total. In the main house, you will find the fully equipped kitchen which provides plenty of room for preparing meals with plenty of prep space in the kitchen and room for everyone to enjoy their meal and the living area which has enough room for everyone. Our starfish beach house features 1500 sq ft of living space. The Master bedroom features a Queen size bed with a full private bath. Second Bedroom features a Queen size bed with a private bath. Third bedroom features a day bed. The large loft features a murphy bed and a full bathroom. The den has an additional pull out sofa to comfortably accommodate 10 guests. The large den also includes the dining area for 6 guests. It has a second living room with a pullout sofa. 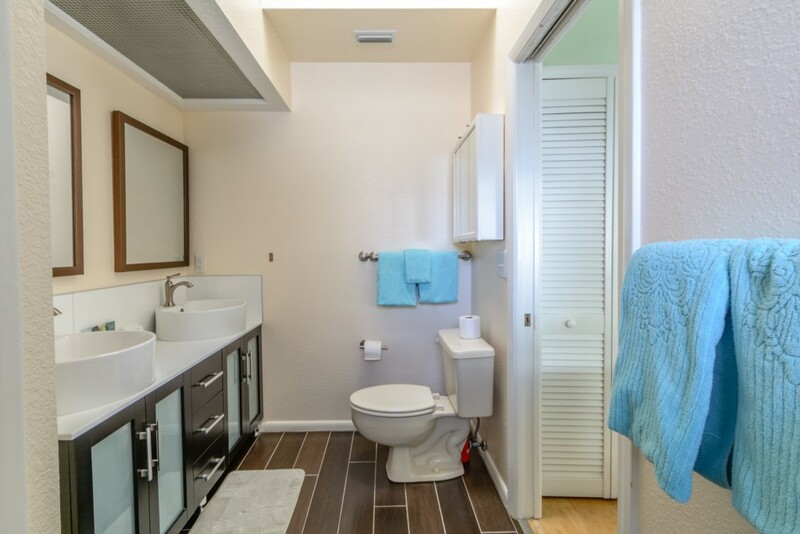 Whether you're sharing with another family or simply want the privacy afforded by two fully equipped living areas, you'll appreciate this feature. In-house wireless internet keeps everyone happy. Provided linens match the property’s quality and your private laundry facilities round out the full comforts of home. Spend your day walking along the pristine white sandy beach which is just steps away from this beautiful beach house. There are many other activities just steps outside this street. 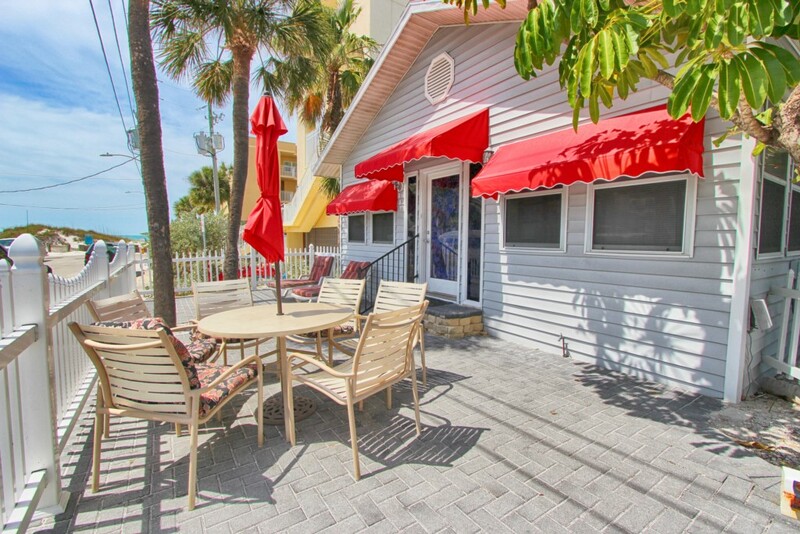 Our rental property is located in a central area walking distance to the Pier, restaurants and much more. The front porch is a perfect place for enjoying your morning coffee and newspaper while appreciating the beautiful view! The back of the property has the best feature you can ask for - a brand new swimming pool!. There is plenty of seating along with a bbq grill. The open floor plan, unique interior and location all combine to create a perfect rental. When you’re ready to get some sand between your own toes just walk down the street and enjoy the sand and surf! 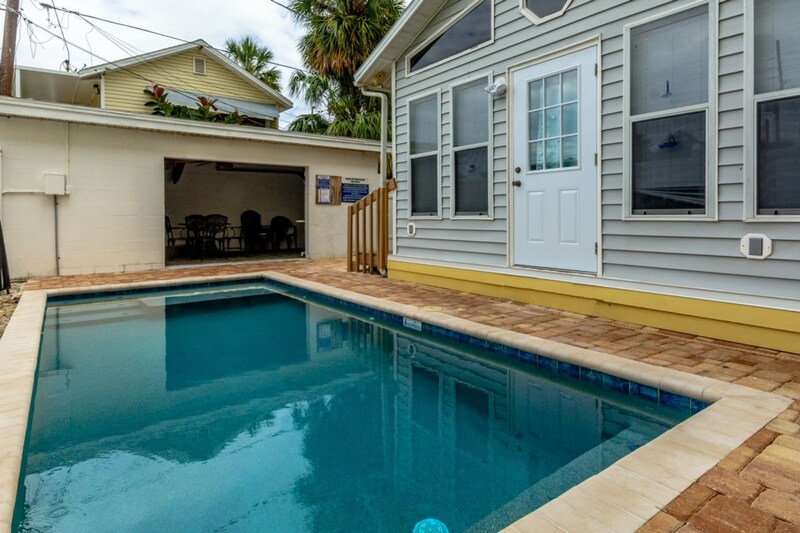 Beautiful, comfortable, private pool, extra parking, and just a short walk from the beach – all fully descriptive of our Starfish Beach House in Clearwater Beach. Small groups, small family, or couples time away, this beach home will make your vacation dreams come true. My family enjoyed this house and vacation a lot. The location was great we could easily walk to restaurants,so close to the beach. The house was very nice and clean.Size looks small ,but accomodates 8 persons. 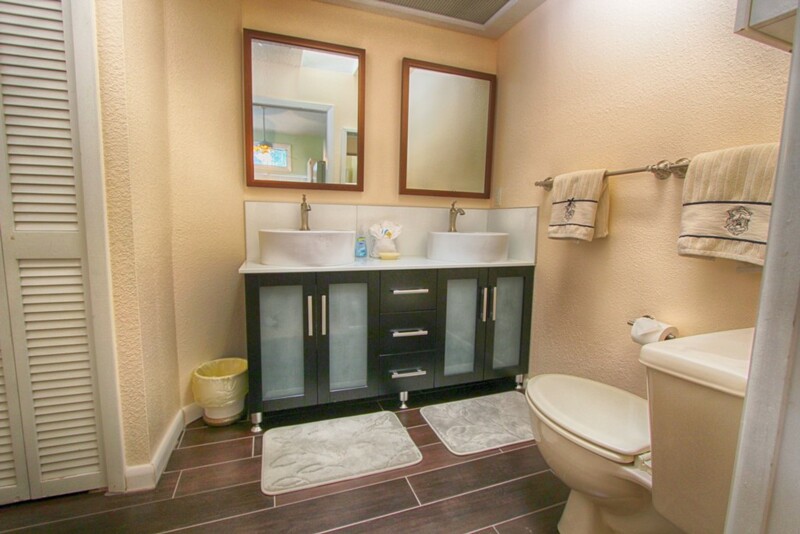 The owner was great.The property was well kept and i would definitely recommend to a friend. Management was very helpful.Thanks to Heidi. Stayed here with family. House is steps from the beach with partial beach view and a private pool. Fun place for relaxing. Management company was very helpful during our stay. Love the locations and the character of the cottage with all the amenities of a home. Comfortable and cozy. This is a beautiful beach cottage steps from the beach. 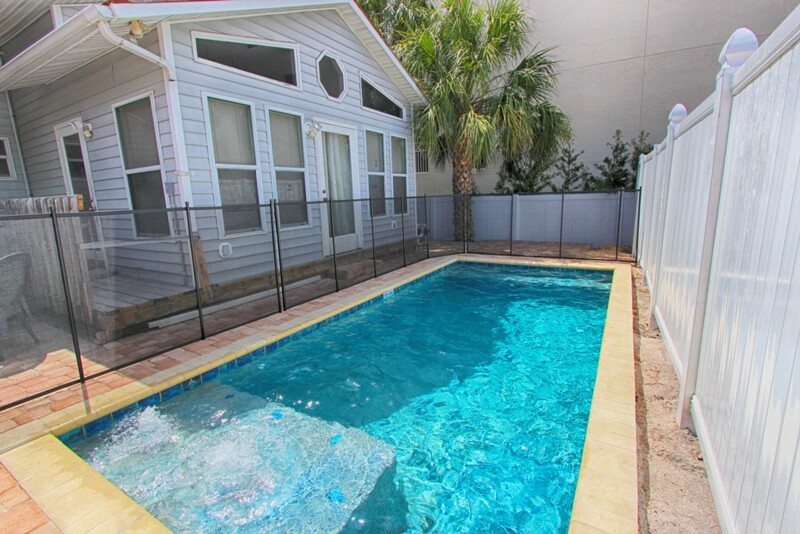 Bathrooms are renovated, location is great and Beach Time rentals service is wonderful. New pool is great for families with kids. Fun gateway for a beach vacation.